Shoot for longer with this high-capacity V-series rechargeable battery. InfoLITHIUM technology offers a precise remaining power indicator when shooting with Handycam, and enjoys improved stamina for fewer battery swaps. 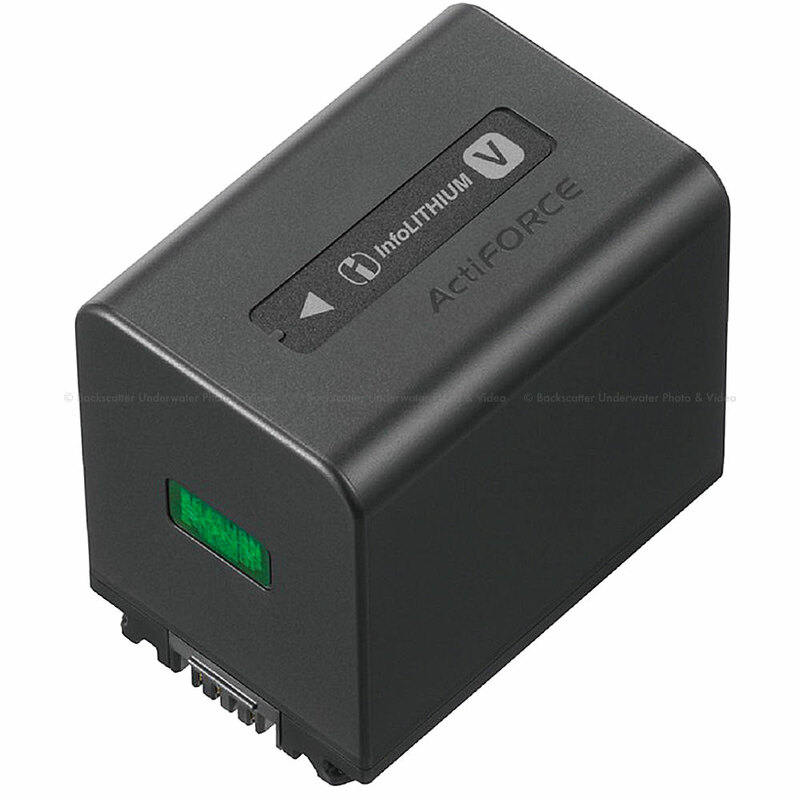 Supports quick charge with optional BC-QM1 or AC-VQV10 chargers.